Les Gets sits at 1190 metres above sea level in the Haute-Savoie region of the French alps, the resort first opened it’s lifts for skiing back in 1938 with a single person chair lift, in 1954 they also opened a lift on the Mt Chery side over the road from the main town. 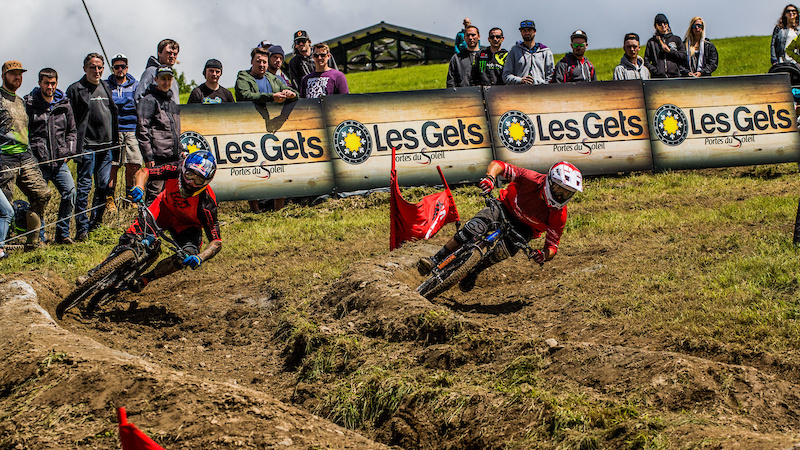 The history of Les Gets as a mountain biking resort is huge, from 1996 through to 2004 the Mt Chery side of the valley has hosted the biggest MTB events in the world including the mountain bike World Cup and the World Champs. Steve Peat famously won the MTB World Cup in Les Gets in 2002 and cemented himself into the record books as the legend we know him to be today. Mountain biking is still huge in Les Gets and again recently more world class events such as Crankworx have arrived into the town. Crankworx brings the best mountain bikers from across the world to Les Gets village in Early June and 2017 will be it’s second year in the town. The Crankworx event includes a Downhill MTB race on the Mt Chery side, a huge dirt jump Slopestyle course at the bottom of the Chavannes MTB run along with a dual slalom and speed and style event. Hopefully Crankworx 2017 will be bigger and better, we believe the Crankworx dates will again be the 14 - 18th June 2017. 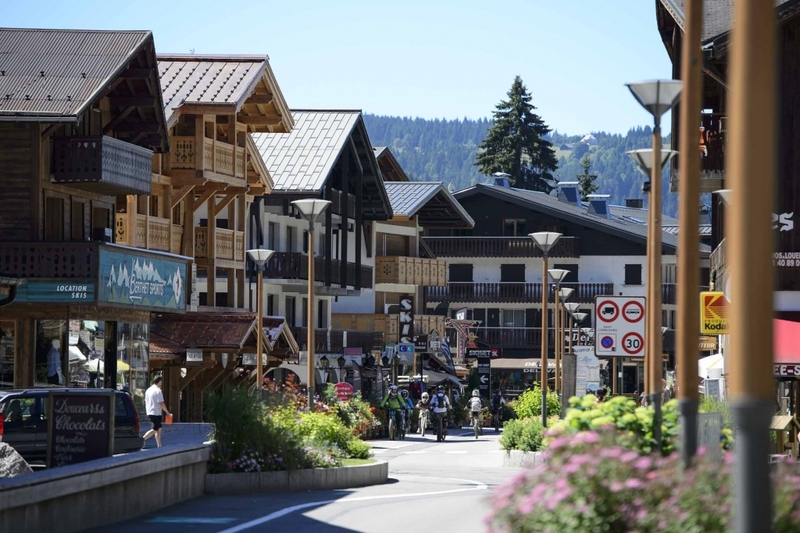 Les Gets has recently had a resurgence in visitors flocking to the resort for mountain biking and adventure holidays, partly due to its reputation as a mountain bike mecca but also due to new trails. These new trails range from relaxed family green’s and blues that wind down the Les Gets side of the hill into the village itself to the new Les Gets Airline on Mt Chery with some huge jumps, drops and berms to test the most advanced riders who come to visit the Portes du Soleil. The Les Gets side of the valley has some great MTB trails ranging from Downhill to Enduro with a bit of everything thrown in between. 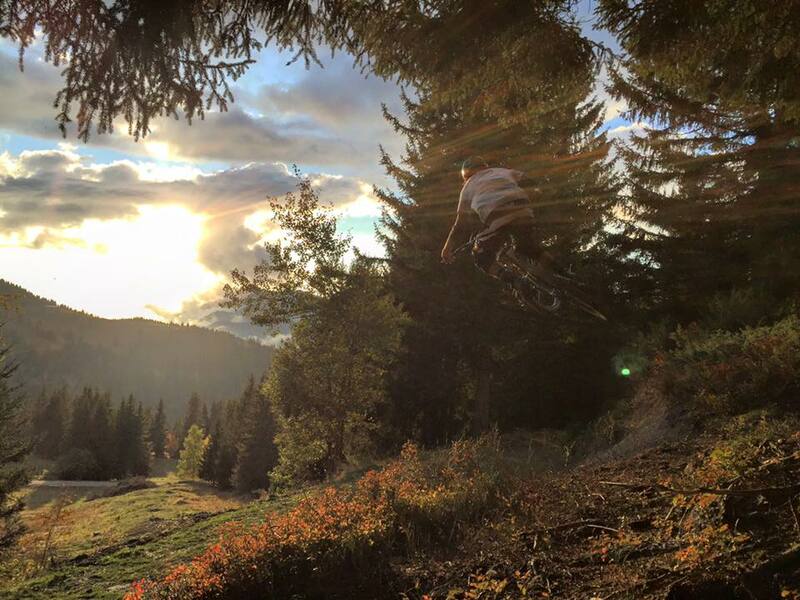 Some old local mountain bike trails have now been made official by the Les Gets bike park owners, the most famous being the Canyon, this is a root filled, wet gully that runs from halfway down the Chavannes ski piste to Les Gets village. If you take the main Chavannes express lift up and then ride across to the Nauchets express lift you then have a whole new area to ride your bike also. The most famous trail is the 3km La Roue Libre red descent that has many table tops, jumps, berms and some flat out fast sections but also quite a few braking bumps so hold on tight. There is a new blue run called Tomahawk which has many medium sized jumps and some really good flow that runs from the top of the Chavannes to the mid section of the hill, great for practicing those jumps. 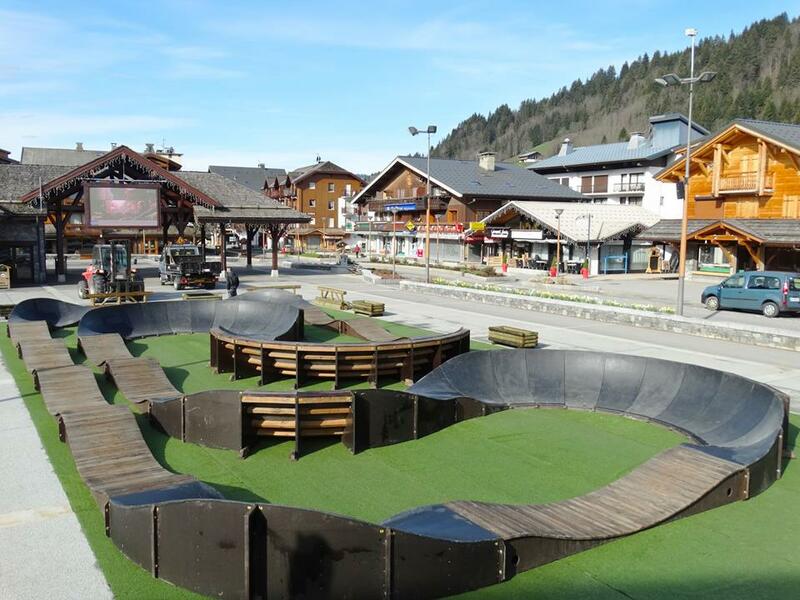 Les Gets is a great mountain bike resort and likes to cater for adults and kids alike to new for 2014 they built a kid’s zone which was set up in the centre of the village with ladders, drops and many other obstacles for the kids to tackle on their mountain bikes in Les Gets. There is also now an all weather pump track in the village which is used by everyone for fun and pump track racing. One of the best recent developments in Les Gets is the new coaching track developed by multiple World and European downhill champion Fabien Barel. The MTB trail tries to combine all features and technical elements of many trails you can encounter which riding your bike in the alps. It allows beginners and intermediate riders to learn specific MTB techniques such as breaking, jumping, taking raised corners, the coaching track is on the Ecureuils green trail in the Chavannes area. 6 Cross-country mountain bike trails. Over the last few year mtbbeds.com have hand picked some of the best MTB specific accommodation in Les Gets to offer our clients. Les Gets is great for a family mountain bike holiday and there is something for everyone to do be in ride bikes, swim in the lake, walk or climb. With a range of MTB specific accommodation from self catered chalet and apartments to fully catered chalets and hotels we have something to suit everyone holiday needs. From downhill trails to enduro trails Les Gets has it all and is a great destination for a mountain bike holiday in the French Alps.